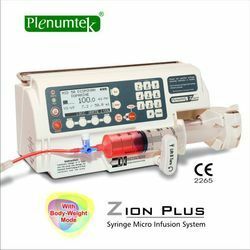 The Plenum's Multi Mode Syringe Pumps are designed to infuse the drug into the vascular system of humans. Each machine is accomplished with microprocessor control of flow rate & volume, activates alarm automatically if the infusion rate cannot be maintained or the solution runs out- all provided by a motor - driven mechanism. Also comes with various modes based on clinical need eg. Volume Target, Time Target, Body Weight etc. 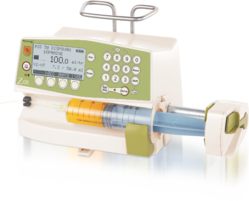 We are one of the leading syringe pump manufacturer in India. Looking for Multi Mode Syringe Pump ?